Stefan played international rugby for South Africa (37 caps) with a phenomenal professional rugby career spanning 18 years and a total of 445 professional first class games including the Sharks (225 caps), Ospreys (87 caps), Boland Cavaliers (66 caps) and Ulster (16 caps). 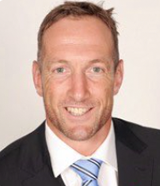 Stefan is the CEO of South African Rugby Legends Association and has numerous other business interests. Stefan has a degree in Sports Education from Boland College.